Vani Bhojan is a very popular house hold name in Tamil Nadu because of her roles in television serials and some of the popular commercials that she has acted. After gaining huge popularity through serials the actress decided to stay away from them for some time. During this break the actress was busy with her photo shoots. Her photo shoots became so popular across social media that the image of the actress hiked up further. It is said that the actress after making sufficient amount of money through acting in serials underwent a complete change over to build herself to a heroine stature. Well it seems the actress has succeeded in her attempt. The actress is currently busy shooting for her first Kollywood film N4 in Kasimedu under the directorial of ‘My son is gay’ fame Lokesh Kumar. The actress is set to play the role of a fisherwoman in the movie. The actress is also busy with her untitled crime thriller flick co starring actor Vaibhav which will be bankrolled by actor Nithin Sathya. Now the actress is gearing up to set her foot in Tollywood as well. The young dashing hero of Telugu industry Vijay Deverakonda who stole the hearts of many young girls has decided to launch his production company too soon. 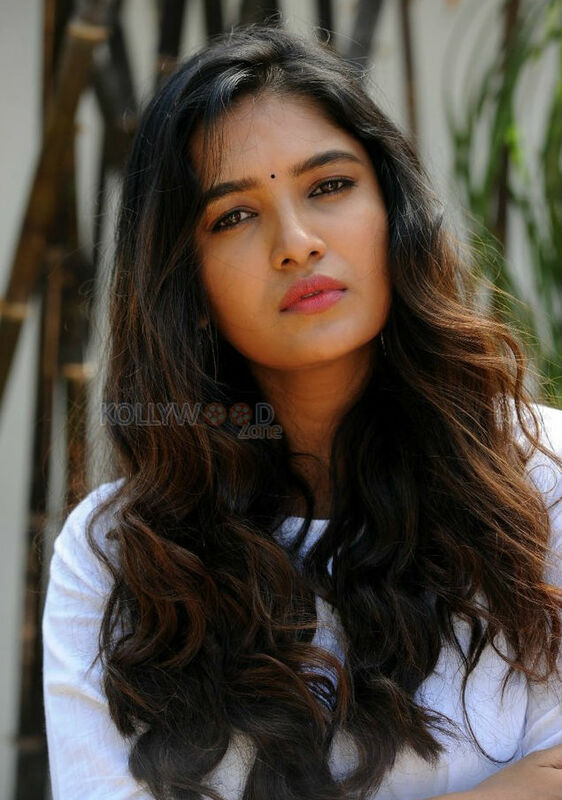 The actor’s first production venture will have Tharun Bhasker the director of Vijay’s Pelli Choopulu in the lead role and Vani Bhojan will be donning the female lead character in the film. Sameer a short filmmaker from Chennai is directing the film. The actress recently spoke about the film and also shared her experience of working in a different language project. The actress stated, “It is a different genre film and it was a fun experience to work in as it was a fun subject. Most of the people in the crew, from technicians to artists were Tamilians they helped me with the dialogues. I used to memorize the dialogues before my shoot. It was really very difficult for me initially but over time I got used to it and gained confidence with my Telugu lines. The film unit was lit with so many youngsters and shooting with them was absolute fun,” concluded the actress. The actress is having a busy year with three projects in her kitty and is set to make her Kollywood as well as her Tollywood debut this year.